Have you ever wondered how Exotic Houses look like? You might not even see this in your entire lifetime! 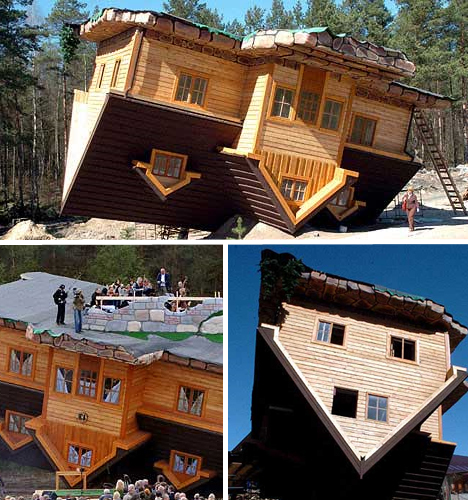 Below are some eye opening pictures that will give you a shock of your life, thinking how do they build these houses! 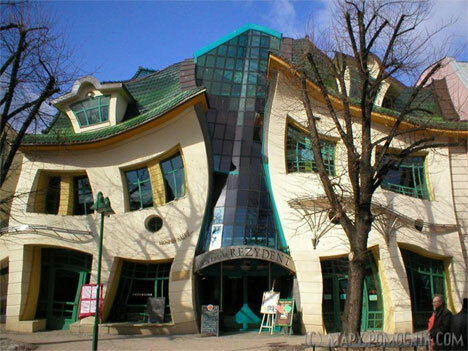 Enjoy the world most weird, funny-looking & exotic houses! 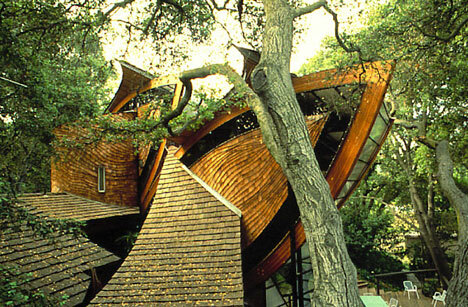 Architect Bart Prince is renowned for his incredibly creative approach to designing structures. The homes he has created look nothing like the boxy houses you and I live in; they’re quirky, they’re organic, and they’re most definitely one-of-a-kind. Prince says his designs start from the inside out, and that every home he builds has an idea behind it. 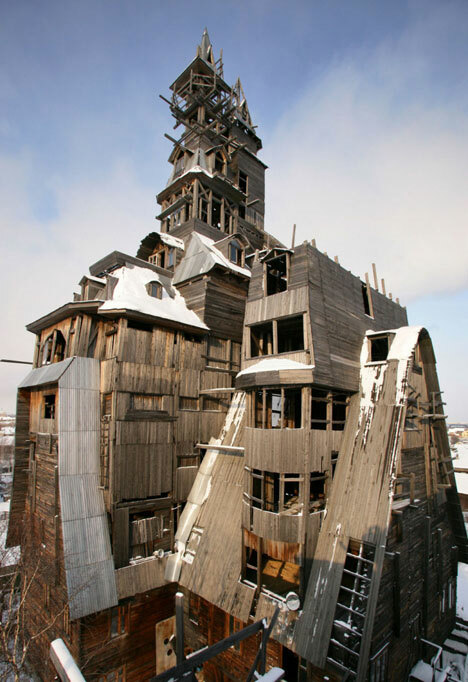 Daniel Czapiewski built The Upside Down House as a statement about the Communist era and the end of the world. It took 114 days to build because the workers were so disoriented by the angles of the walls. It certainly attracts its fair share of tourists to the tiny village of Szymbark, who often become dizzy and ‘seasick’ after just a few moments inside. This is truly a exotic houses. 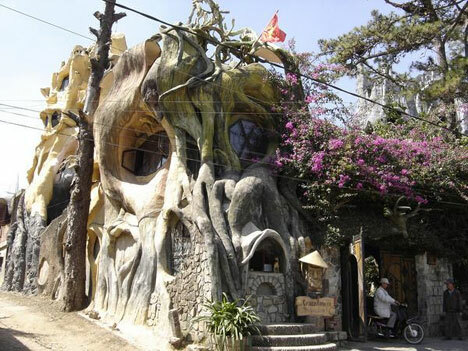 Looking like something out of a child’s fairytale gone wrong, the bizarre-looking structure in Dalat, Vietnam was built by the daughter of Ho Chi Minh’s right-hand man. Madame Hang Nga created the Hang Nga Villa – now known simply as ‘Crazy House’ – to reflect her interest in art and architecture. One of the most exotic house I loved. 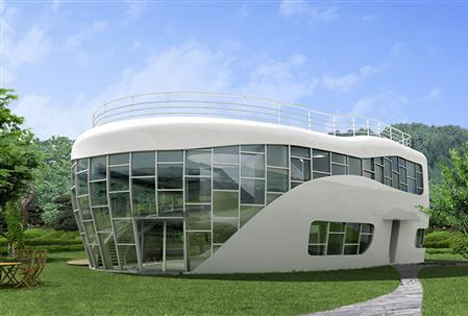 The world’s one and only toilet-shaped house was built to mark the launch of the World Toilet Association, a campaign for more sanitary restrooms worldwide. 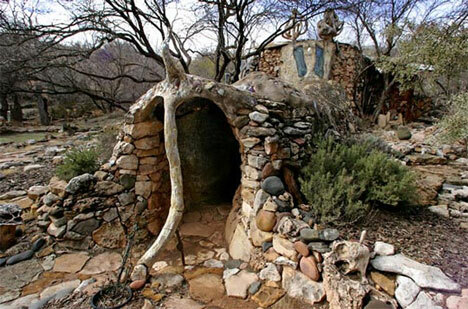 The ‘Eliphante house’ for the look of its entrance, this sculptural home was created by artist Michael Kahn and his wife Leda Livant with found materials over a period of 28 years. 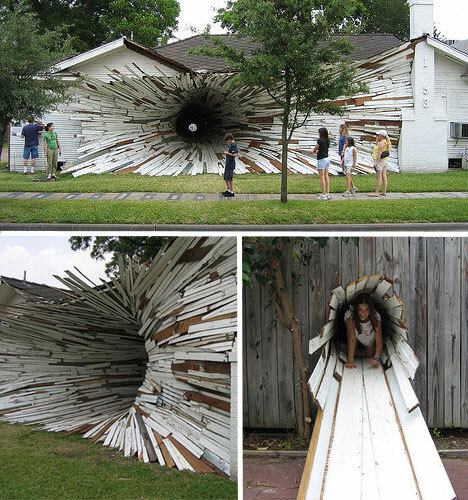 Artists Dan Havel and Dean Ruck altered the two buildings, peeling off the exterior siding of the front building to simulate the appearance of a funnel-like vortex. This is one of the most exotic houses are loved. 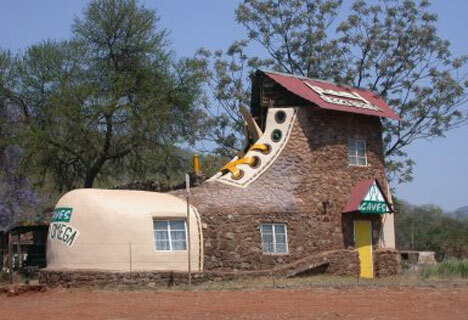 The ‘shoe house’ of South Africa is the work of artist and hotelier Ron Van Zyl, who built it for his wife Yvonne in 1990. The shoe houses a little museum of sorts, showcasing Van Zyl’s wood carvings. The shoe is part of a complex that includes an eight-chalet guest house, camp site, restaurant, pool and bar. The more funny type of exotic houses. An optical illusion? Trick of Photoshop? 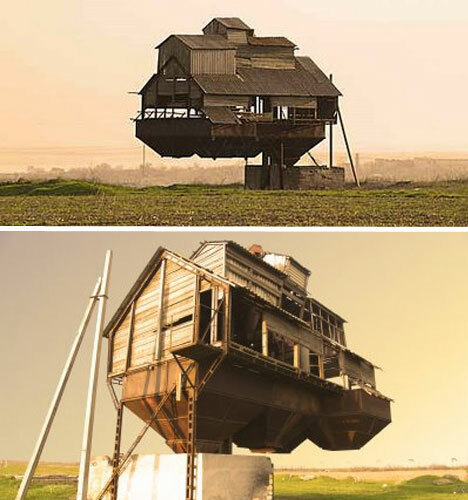 Nobody really seems to know much about this supposed ‘floating barn’ which was reportedly located in Ukraine. the ‘Crooked House’. The design was inspired by the drawings of Polish artists Jan Marcin Szancer and Per Dahlberg, which have a whimsical and Dali-esque feel. After viewing all these weird, funny-looking & exotic houses, Hope that you have now gain more knowledge and ideas on the types and variety of houses in the world!